Nutrients such as allicin in garlic help to protect against many diseases. Eat garlic cloves with green coriander. Eating roasted garlic buds before bed is beneficial. This protects from infertility related problems. Drink garlic juice. This eliminates the problem of indigestion. Mix garlic with onion and eat it. It is beneficial for both skin and hair. Eat garlic and honey. It helps to relieve cold cough by eating it together. Cut the garlic in small pieces. Mix honey and lemon juice in it. Keep this mixture in one bottle. Daily drink this mixture half teaspoon with empty stomach. The mixture of garlic-lemon reduces cholesterol level. This avoids heart diseases. 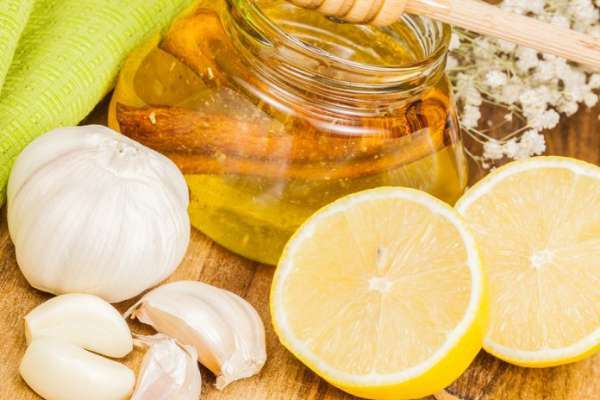 The mixture of garlic-lemon improves metabolism. This reduces weight. The mixture of garlic-lemon contains anti-inflammatory properties. This avoids joint pain.